You Won't Be Disappointed, Contact Us Today! For a free on-site estimate or consultation, please contact Ted or Gayla. You can fill out the online form on the right or email / call us at the numbers listed below. 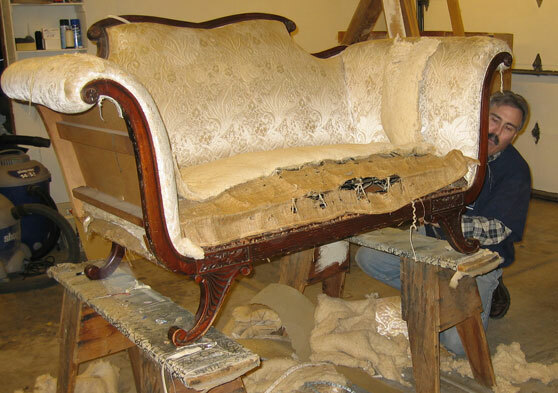 At Advantage Upholstery we travel to clients throughout the Denver-Metro area, along the front range from Windsor and Fort Collins to Parker, Colorado Springs and Cripple Creek. We have also served clients in Idaho Springs, Silverthorne and as far west as Grand Junction. Our home workshop is located in Lakewood, CO. Please call us for directions or to schedule an appointment.